Pull up a chair, this is Fluxtaposed, episode 196 recorded on Jan 23rd, 2018. On the docket today - Josh “the Noyse” Brown is here, IRL, get caught up on Whatchuplayin’ featuring Undertale and the Open House. Finally, we will close out the show with the community grab bag and that sweet, sweet, awkward finish. Thanks for listening and enjoy the show! 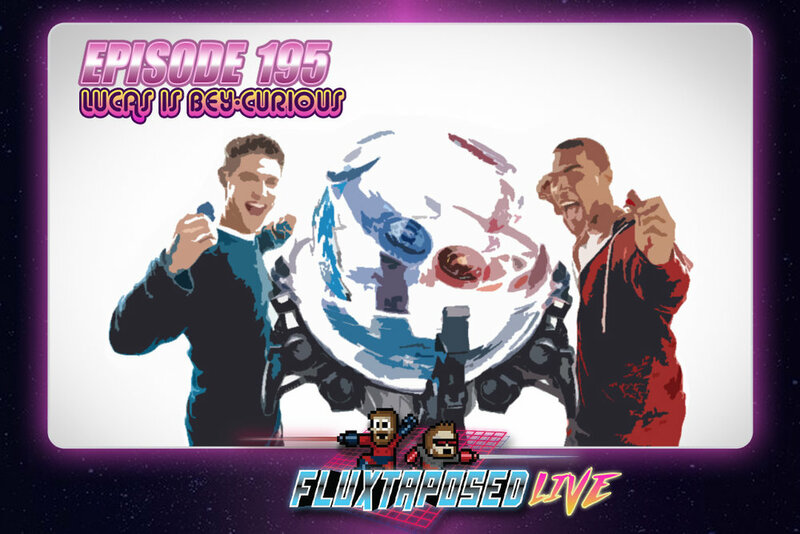 This is Fluxtaposed, episode 195 recorded on Jan 16th, 2018. On the docket today - IRL, get caught up on Whatchuplayin’ featuring **** Finally, we will close out the show with the community grab bag and that sweet, sweet, awkward finish. Thanks for listening, thanks for watching and enjoy the show! Care to have your podcast with a side of video? Here it is straight from YouTube! Welcome back to Fluxtaposed, episode 193 airing LIVE on Jan 3rd, 2018. On the docket today - IRL, get caught up on Whatchuplayin’ featuring Rage, Final Fantasy 7, Brawlout and Remember. Finally, we will close out the show with the community grab bag and that sweet, sweet, awkward finish. Thanks for listening, thanks for watching, and enjoy the show!